DerailAmnesty.com Dissertations: Thoreau, Gandhi, King And Gutierrez? Reflections, opinions and observations about illegal immigration related topics. Thoreau, Gandhi, King And Gutierrez? 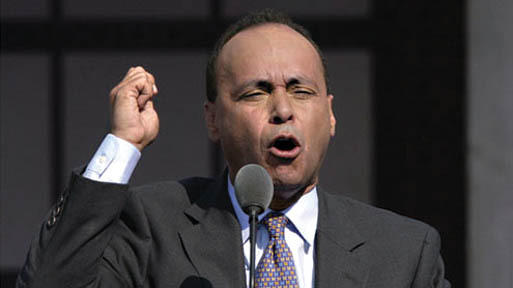 Tireless illegal alien advocate, Luis Gutierrez, is at his wit's end as 2010 draws to a close. Currently, he's not unlike the manager of a Big Lots outlet whose store has just had an entire aisle stocked with a new shipment from a department store that couldn't move the merchandise. In short, he's got a product no one's been able to sell. Notions of "comprehensive immigration reform" have proven to be just as unpopular coming from President Obama as they were a few years ago when George W. Bush was singing their praises. And just prior to Christmas, yet another effort to enact the DREAM Act failed to pass a decidedly liberal Senate. That's about half a dozen times now that it has gone nowhere when put in front of Congress for a vote. It hasn't mattered how it's been dressed up, what sob stories have been marketed, how many newspaper columnists plead with their readers to feel "compassion," what "studies" are offered up to suggest that legalizing the undocumented will result in windfalls of billions, reduced crime, and improved race relations, and that there have been thousands of attempts to equate illegal aliens with immigrants of yesteryear. The truth is evident. A sizable majority of Americans want no part of another amnesty. This has been infuriating for the elected representative who has publicly declared "I have only one loyalty, and that's to the immigrant community." And herein lies Mr. Gutierrez's next problem - failing to change U.S. laws to accommodate illegal aliens who won't follow the ones we have, isn't unfair. 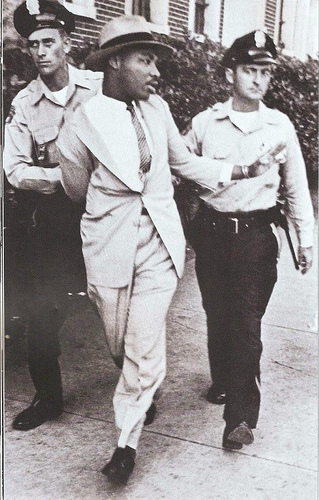 Civil disobedience worked for blacks in the 1960's because the protestors were right, and their actions drove the point home. It was fundamentally unfair for average, decent people to be disallowed from dining at southern lunch counters because of their skin color. How can a man be asked to risk his life defending his country against Hitler, and then be required to sit in the back of a public bus? On what rational grounds was a U.S. citizen forced to attend substandard public schools, when better ones were nearby, but unavailable to non-whites? 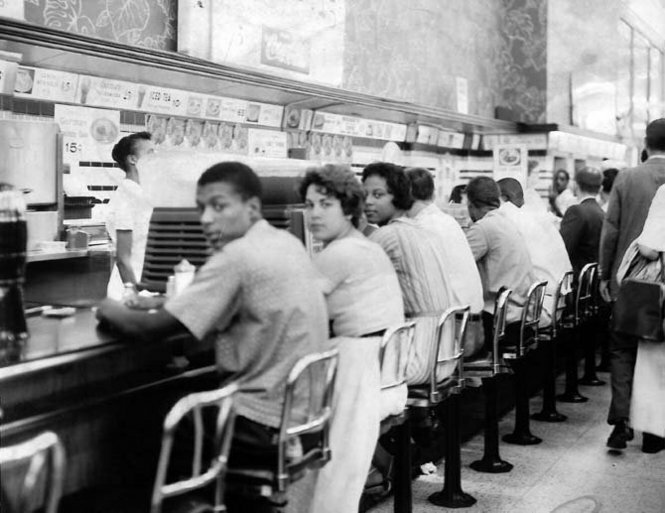 Such practices and standards were offensive to the espoused principles stated in our nation's Declaration of Independence and Constitution, and the protests drew attention to them. The same cannot be said, however, of people who have failed to follow laws that apply to would-be immigrants of all colors. There is no government or society spawned injustice when children of criminals are not rewarded for their parents' systematic, repeated and successful law violations. Some, like Congressman Gutierrez, believe that enforcing current immigration and employment laws is an attack upon Latinos. To disallow illegal alien children from receiving taxpayer subsidized college tuition rates is an injustice. Those people, however, are a minority. Most in the U.S. don't see it that way. 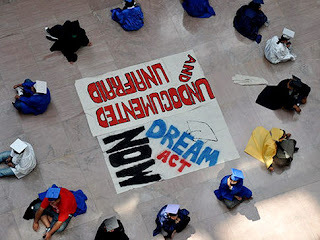 Consequently, when illegal aliens occupy the waiting rooms of U.S. senators and refuse to leave, the common question is why they weren't turned over to ICE. As "Dreamers" from UCLA and Cal State Northridge lie down on major L.A. thoroughfares during rush hour, the usual commuter response is anger because of an inability to get home, rather than sympathy. Put most simply, illegal alien advocates may believe they have a civil rights issue, however, most American voters don't agree. And all the tantrums and cries of "racism" aren't going to be changing that any time soon in the hearts of most taxpayers who pay billions to subsidize the lives of people who have no business being here. Civil disobedience and a "Latino revolt" on the streets in 2011, Congressman? The staff at DerailAmnesty.com would love to see it happen, but quite frankly, we don't believe you're that detached from reality yet. Visit the NumbersUSA and the ALIPAC websites and help fight illegal immigration. Whatever Abel's Smoking, We Want Some! DerailAmnesty.com is a website that provides information about California's illegal immigration crisis. This blog is but one component of the site. All writings here are composed by what passes for our site's managerial staff.